Have you ever loved someone so much, but that person didn't know you even existed? 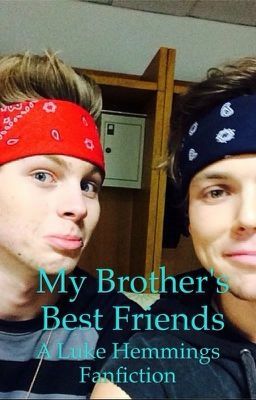 Maddie Irwin, Ashton Irwin's younger sister is hopelessly in love with her brother's best mate. However, they don't even talk. Luke likes Maddie, but the only person that knows is Micheal. Will Maddie find out that Luke likes her? Will Luke find out that she likes him. Will feelings start to arise for Micheal and Maddie? What is going to happen when their band 5 Seconds Of Summer go on tour with One Direction?